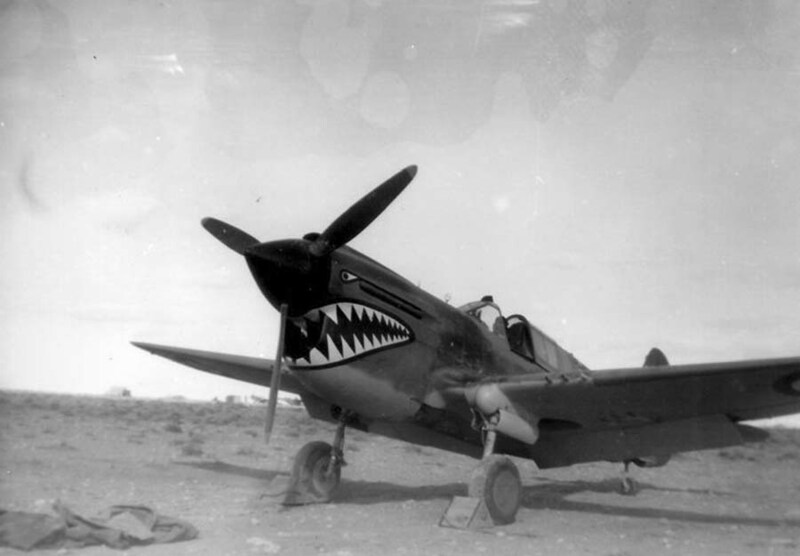 Bombed up Kittyhawk, Photo contributed by Chris Buzby. 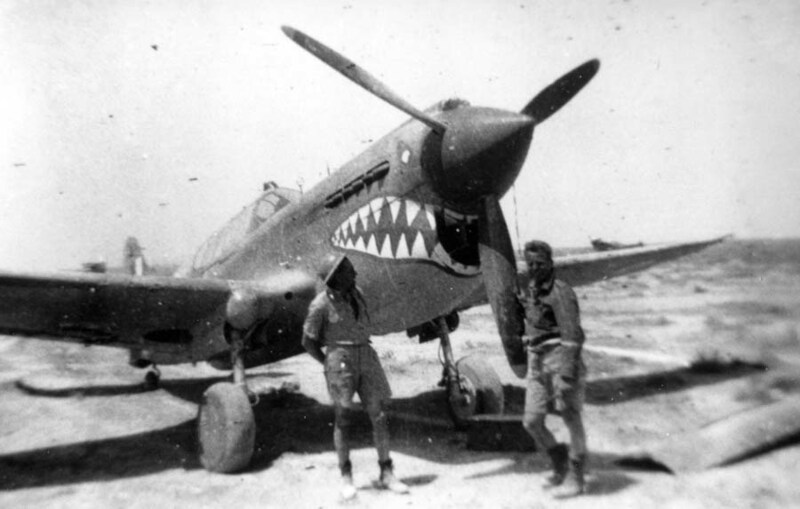 note the propeller blade as it appears to have something written on it (NoT -----Now?) perhaps a repair sign off? 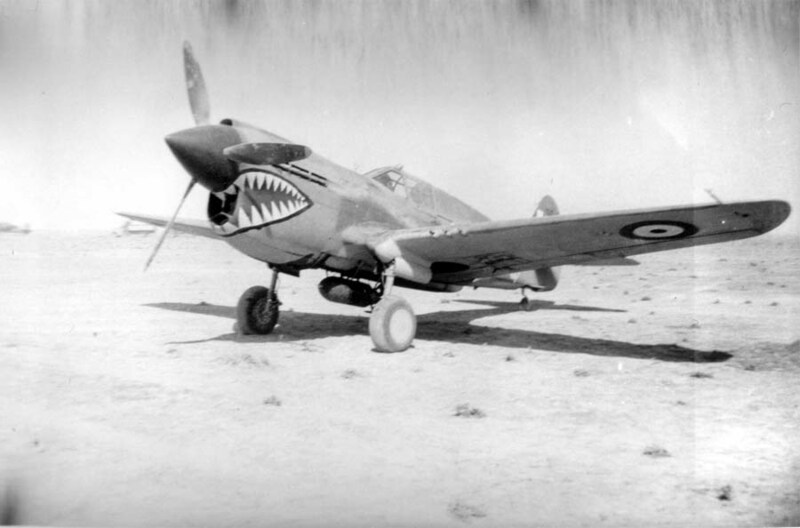 748555 ?, RAAF, 14/4/42 to 21/10/42, POW see above plane ET789, GA C, Sgt N. A. Clark, 1169208 , RAFVR, 22/2/42 to 13/1/43, fate and first names unknown at this time, Pilot Officer John (Johnny) Johnson, 1111985 ?, RAF, ?/7/42 to 24/7/42, MIA, fate unknown, I have not yet confirmed this is the right service number possible POW, Sgt H G E Thomas, NZ405000, RNZAF entry date unknown to 5/9/42, POW, Warrant Officer H. G. E. Thomas; born Masterton, 25 Nov 1919; shepherd; joined RNZAF 30 Nov 1940; prisoner of war, 5 Sep 1942; safe in UK 24 Apr 1945, Flying Officer William (Babe) MICHAEL ( he flew Kittyhawk named "Blonde Bombshell" ) Whitamore, 102107 , RAFVR, 13/5/42 to 20/8/43, served with ,66, 92, 112, 601 & KIA while with 81 Sqdn. 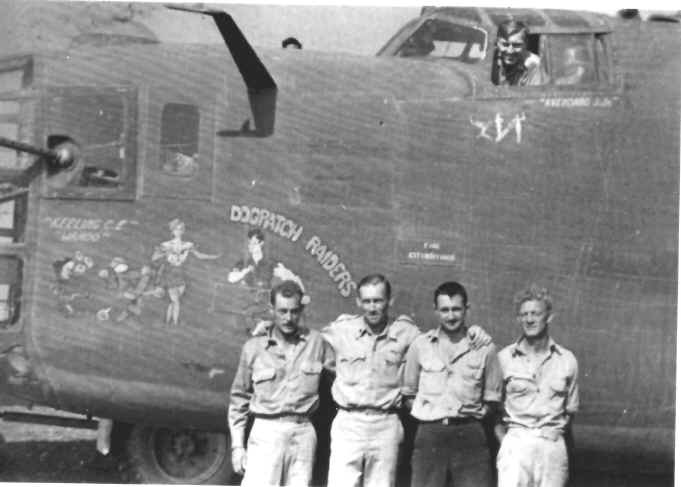 American 8th Air Force, B24D Liberator of the 93rd Bomb Group 328 Bomb Squadron, had to land at Pachino 1st August 1943, on its return from the Ploesti raid. George Wallace (Wally) Rutherford, Canadian, RCAF J.16548, 25/4/43 to 17/11/43, RAF 112 Squadron pilot, picture posed, in the cockpit, I have no names for the B24 crew members yet. 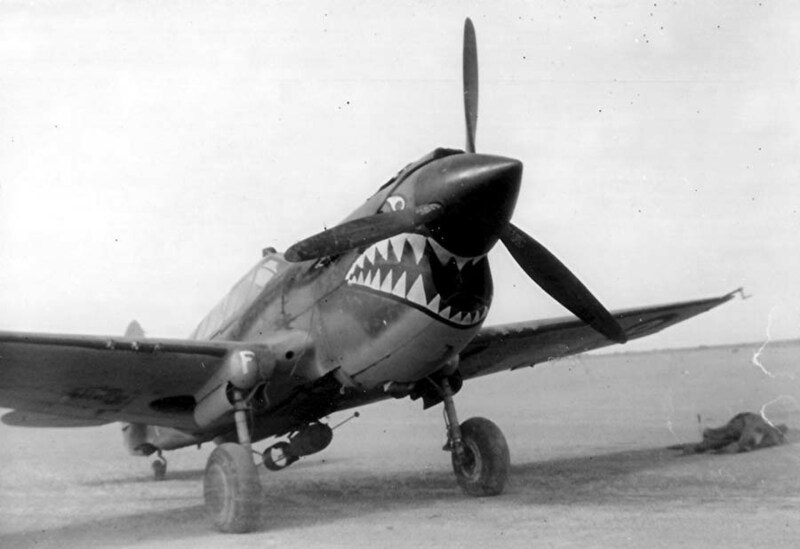 Flew the low level Ploesti mission 1 Aug 43. My Uncle Joseph Avendano (Pilot), was one of the original members of the 93rd that would survive this mission. 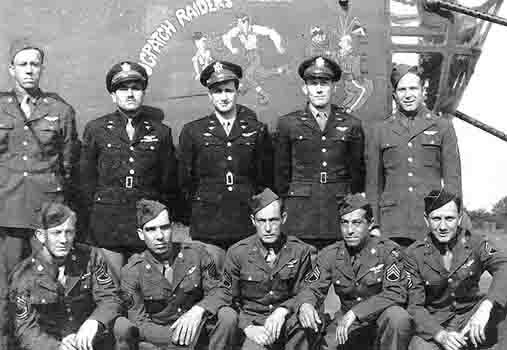 DOGPATCH RAIDERS was in the second wave of planes that came over the target behind their Commander Addison Baker that day. 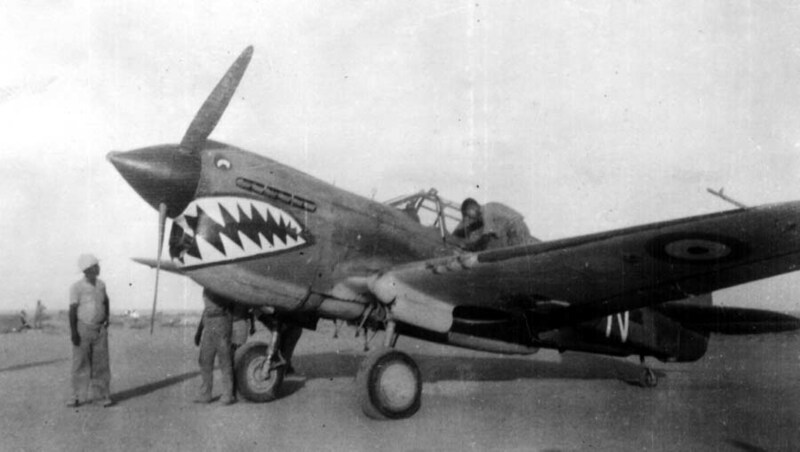 This would become the most decorated mission of WWII. being one of them. I will go over the photo for ID's but is there any chance of getting a hard copy for my records and in return I would like to send you a clean copy of the crew shot. 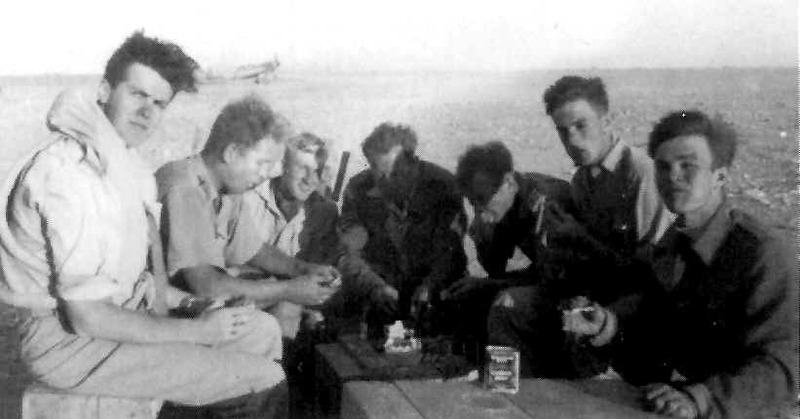 One of the crew members in the photo is Sgt. Prince A Martin on the far right but I will have to check with some of the 93rd vets that served with the uncle at this time for other ID's. Thank you for sharing this part of my uncles history with us! 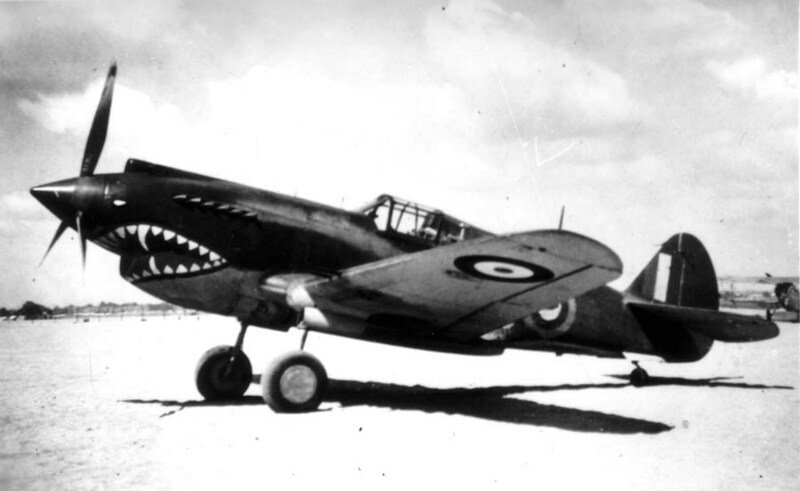 I had thought this was (FR241,GAR) 42-45922, Curtiss H87B-3 Kittyhawk Mk.III (FR241 c/n 15723) to RAF as Kittyhawk III FR241 Jul 1942. 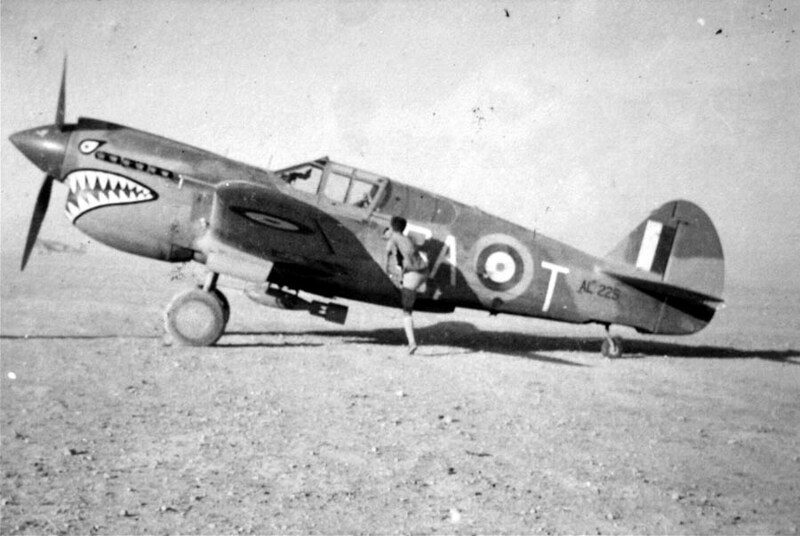 SOC Oct 31, 1943, picture taken before it received Sqdn markings, location unknown ....FR241 with major color changes is also photographed as LD-R of 250 Sudan Squadron Pilot Officer Russell flying 20 sorties in in in October 1942 Interesting to note that a photo of FR241 taken on 4 November 1942 shows a lot of paint applied to the front where the Shark Mouth of 112 Squadron would have been painted Date of transfer is not known at this time. 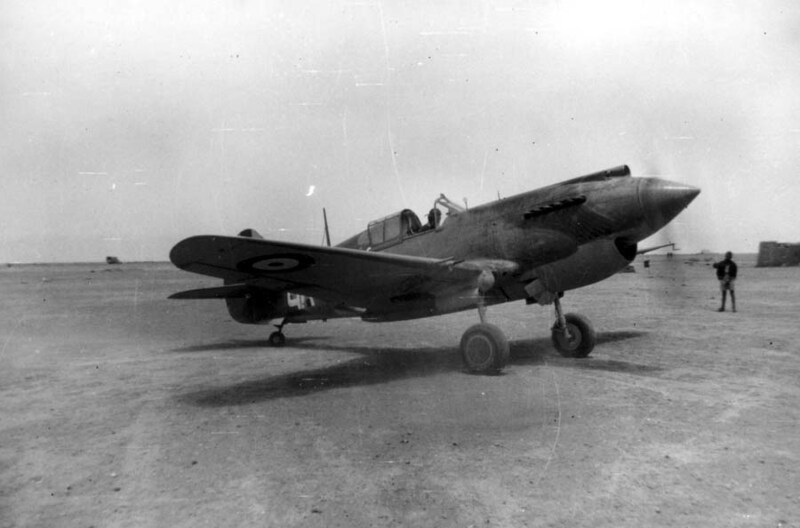 Sorry to do this to you but the aircraft shown on page 8 of the photos is not the RAF FR241. This gets a little confusing, so please stay with me on this. For some unknown reason this aircraft was not shipped to the Middle East but sent to Alaska, and 42-45922 was remarked as FR241 and sent as a replacement aircraft. 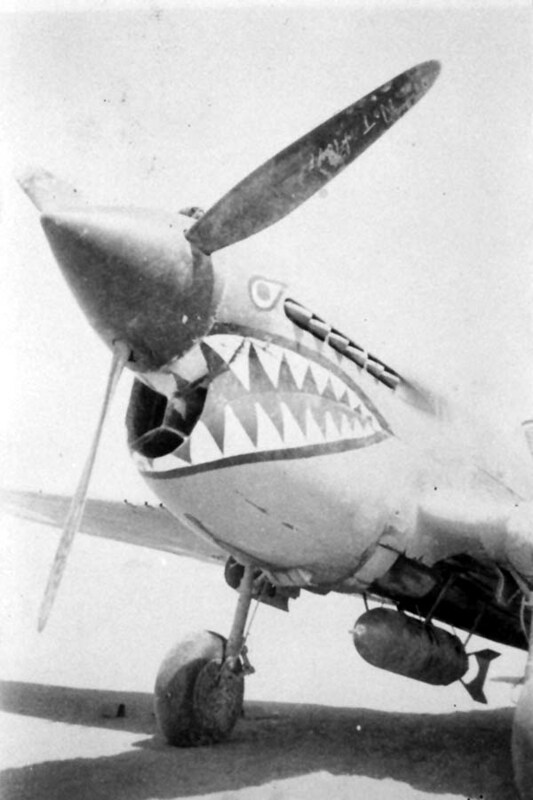 The clue to this is the fact that the picture shown has a chalk mark on the nose that reads K 110, which is the build number for 42-45831 not for 42-45922. 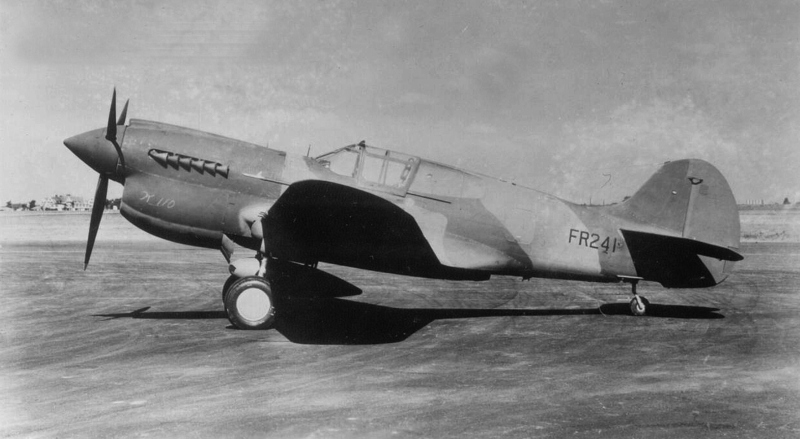 So aircraft shown in the US with FR241 is 42-45831, aircraft shown in middle east as FR241 is 42-45922.to RAF as Kittyhawk III FR241 Jul 1942. 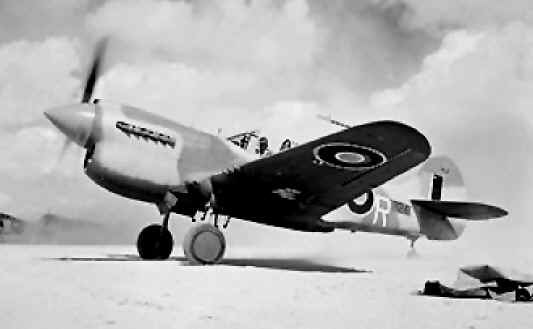 SOC Oct 31, 1943, plane had prior service in 250 Sudan Squadron as LD R, at LG 91, Egypt, during Operation LIGHTFOOT, the first phase of the Alamein offensive FR241 is an early ‘short-tail’ Mark III with a dorsal fin. 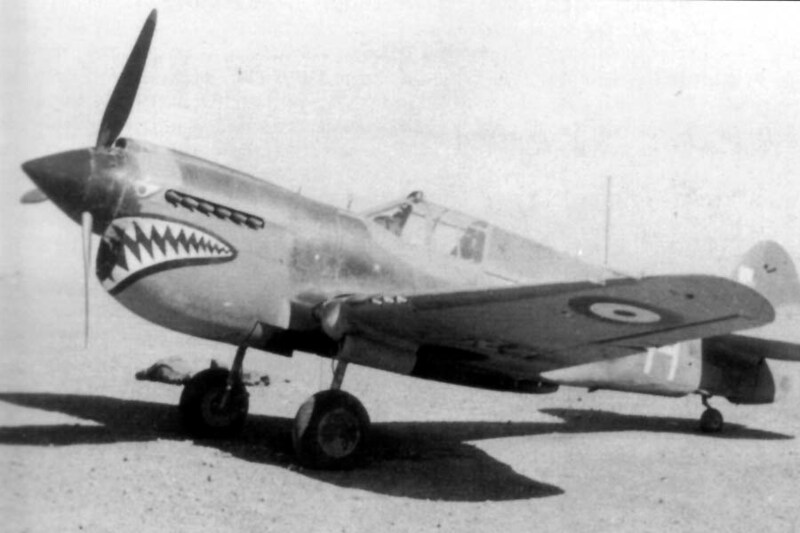 note name SALLY V, after getting his first victory 1/10/42, it was the only time he flew this aircraft.